29th May 2008 at Glasgow City Chambers, Captain Jean Black with two of her boys who gained their Queen's badge. 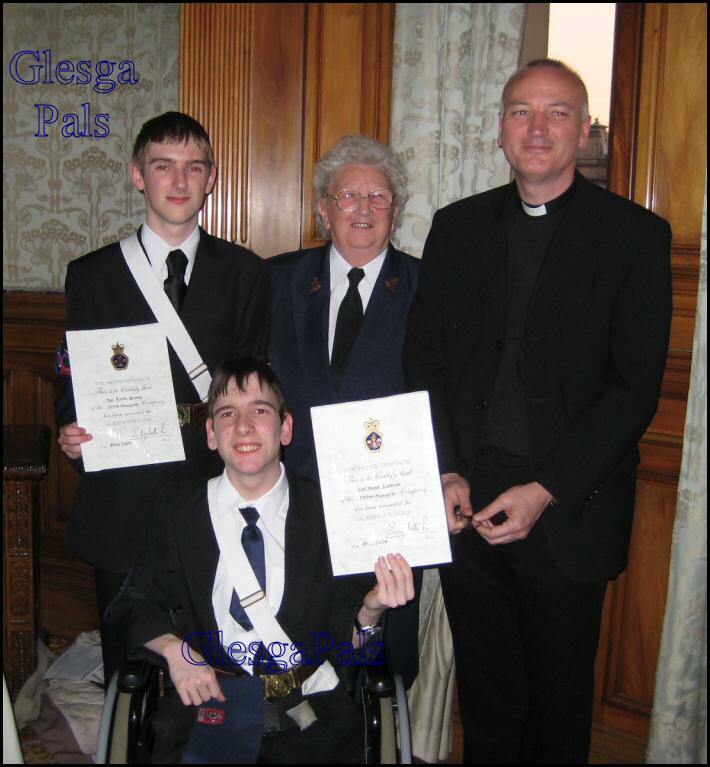 The boys are David Young & Scott Laidlaw, giving Scott support is his parish priest Father Morton from St.Brides chapel, Cambuslang. Father Morton told me young Scott is a bit of a lad and he came to chapel one Sunday with a fitba top on with 'Gazza' on the back!